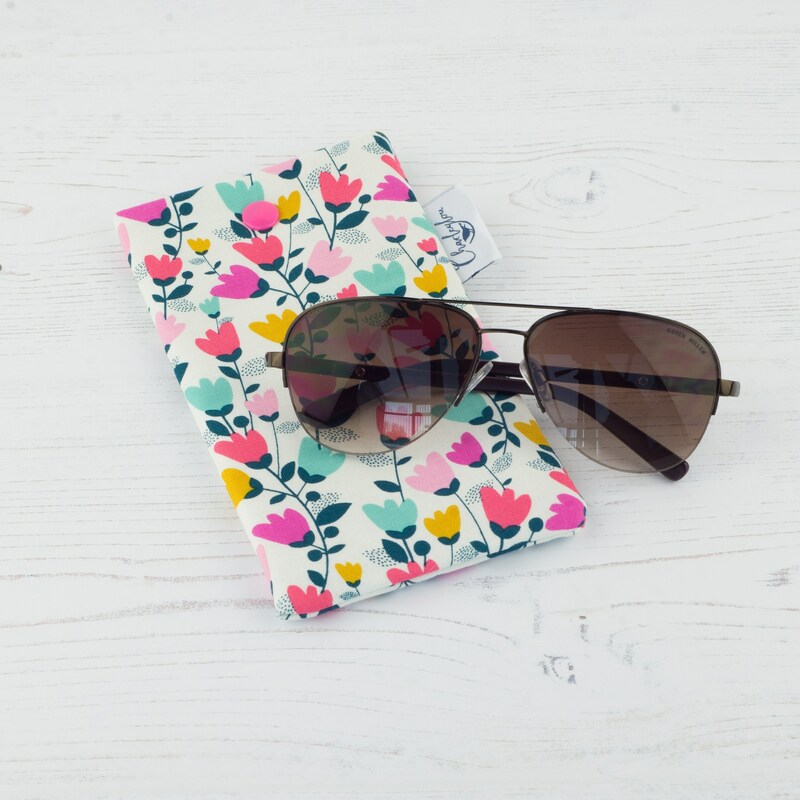 The glasses case is made from high quality cotton fabric featuring a gorgeous sweet pea floral design. 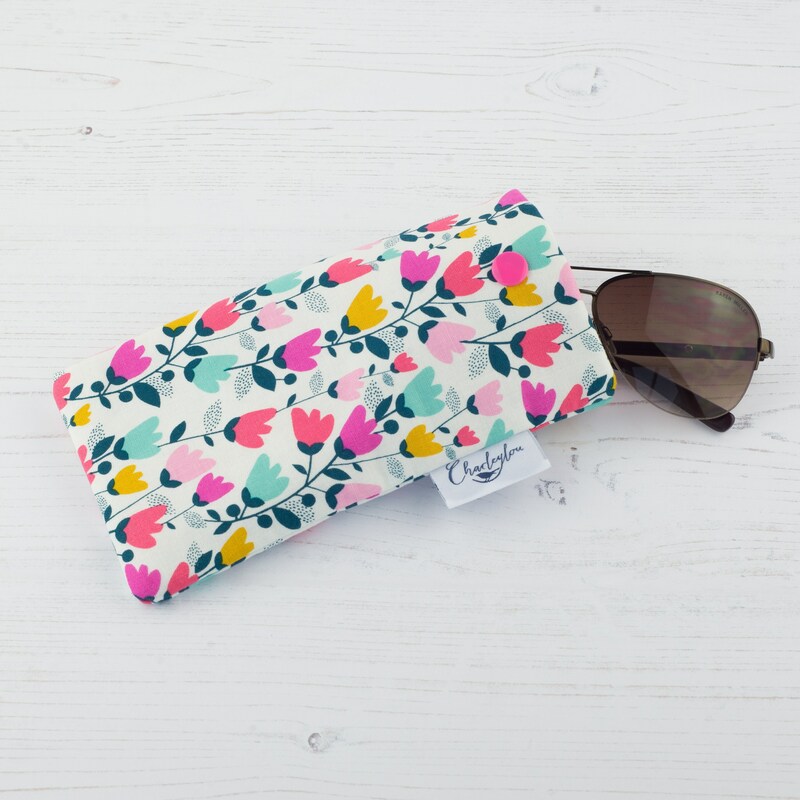 Each glasses case is fully lined in a high quality cotton fabric and padded with fusible interfacing to give it a little shape. 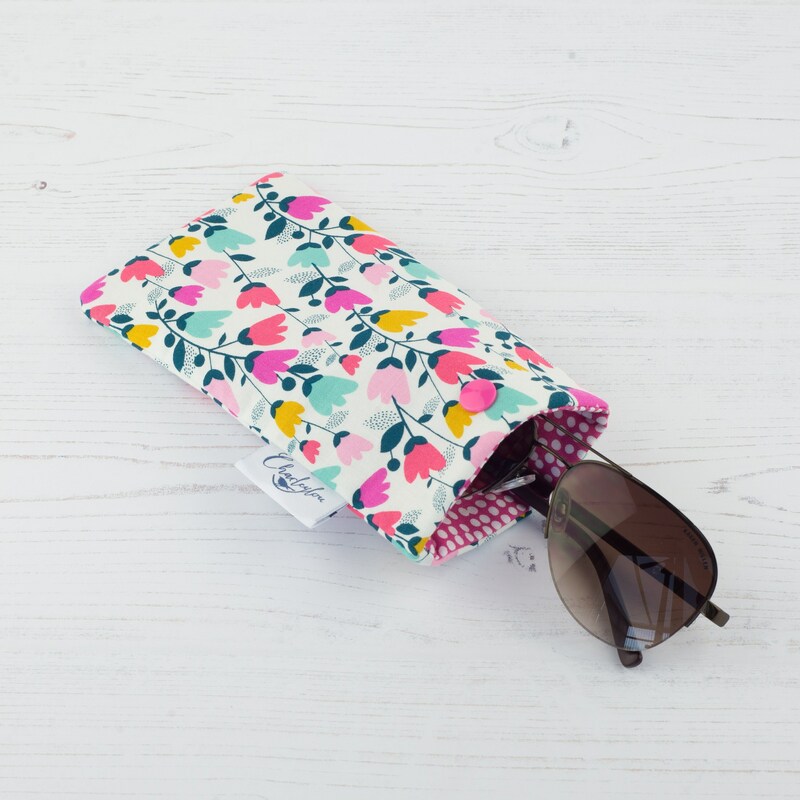 Finished with a colourful snap closure to keep your glasses nice and secure. • Pattern placement may vary from the item originally photographed. • Kam snap closure can vary in colour.